Pictures of Liza Soberano and Enrique Gil on the set of their new movie Alone/Together were released this week and quickly made their rounds online. 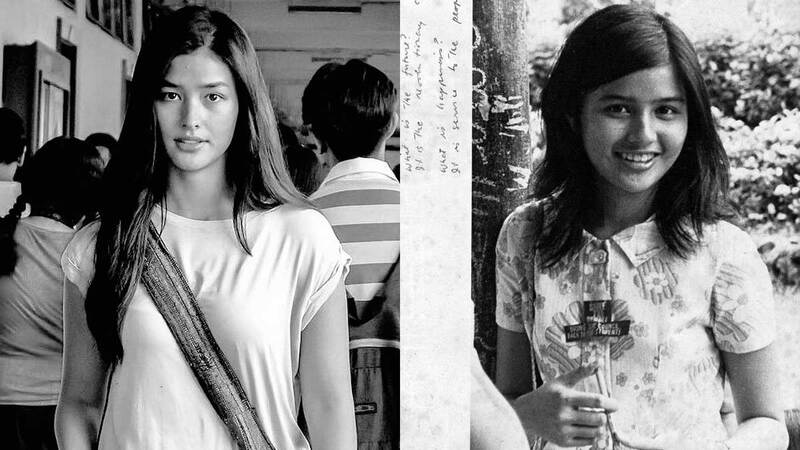 One particular photo, however, caught the attention of the internet: Liza walking along Palma Hall in University of the Philippines (UP) Diliman as Christine, an Art Studies student. But a post by Twitter user @Arskwerd made a shookening comparison of Liza to UP alumna Carol P. Araullo. For those who don't know, Carol is an esteemed social activist, a doctor, and columnist, who happens to be the mother of our childhood dream boy, journalist Atom Araullo. "What is the ideal? It is to carry the revolution through to the end. What is the future? It is the revolutionary cause. What is happiness? It is service to the people." Atom couldn't help but repost the pic of his mama and detailed a LOL convo he had with her.